The exponentially rising quantities of collected, edited, interrelated and analyzed data offer new opportunities to reveal peoples‘ behaviors and preference patterns. They open up huge opportunities to develop innovative applications, products and services and to further automatize and tailor processes. The counterpart and companion to the increasing importance of algorithms are ideas, stories, visions, intuition, playfulness and courage. Thus creative and emotional capabilities gain new relevance. 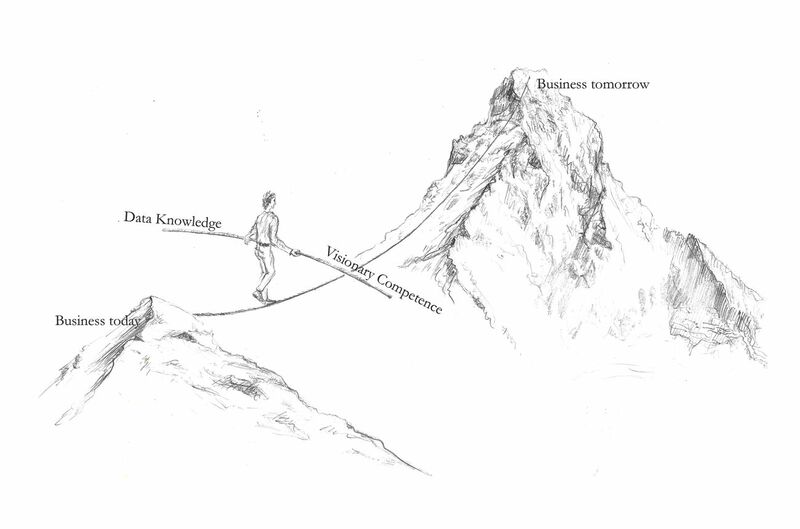 Successful business models, products and services for the 2020s will emerge from skilful combinations of both data knowledge and visionary competence.